Writing a paranormal thriller is not an easy task and when it comes to keeping track of multiple branches of the same which grows in various directions in different time frames is really a tough job. Akay Brothers (pronounce: AK Brothers), came up with a paranormal thriller named Jason Cage which tries to deliver it convincingly. Do they succeed in it? Well, let us take a view of it. These days when popular authors are asking readers for the cover page ideas and running contests for that, having an attractive cover page is the need for any book. But just having a good cover with no substance in terms of the story takes the reader to nowhere. So let us take a look at the content of the book and try to determine whether it is up-to-the-mark or not. 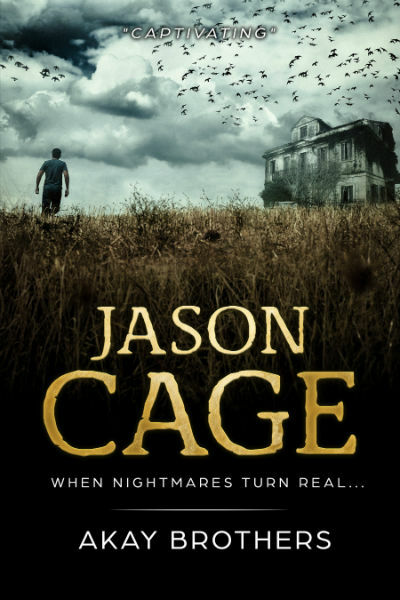 Jason Cage, the protagonist is living a lonely life. There are some things with him which neither he nor the people living around him could understand. But, they deduce it to be abnormal. And, no one wants to befriend with an abnormal fellow right? He tried to settle in the US where he went for further studies but eventually, he found no solace there as well. So he comes back to a monastery in the snowy area of India. Jason is deprived of sound sleep due to various nightmares he see and it leads to an unbearable headache for him. The even more important thing is, the nightmares are actually true fatal incidents happened somewhere in the world. So, he is actually witnessing the brutal fate of people who met with it. While watching some activities to kill time, Jason met with a girl who knows more about Jason and the things happened to him. Actually, she is having a different kind of problem. But, she knew that Jason is being watched by some forces. She tries to warn him, and… well, you need to read the book to know whether she succeed in it or not. By the way, she is not the leading female character of the novel! There are various threads going on parallel including Indian RAW agents on a mission in a neighbor country, a skilled warrior tried to accomplish mission of life during a pharaoh’s time in ancient Egypt, an island witness an airplane full of strange things approached in a windy cold night, Lucy visits Ayesha’s home and her life is not picture perfect as shown, but actually even more dangerous things are awaiting her, and… well, I will suggest you to explore it by reading Jason Cage. Akay brothers tried coming up with a gripping paranormal thriller and we can say they succeed at a large extent. While there are many tracks going on in this book and many of them are in different era, it is tough for you to keep track of them. It is written in interesting manner though. While the book is meant to be the first installment of a series of books, it doesn’t come up with all the answers and many tracks are having loose ends. So, when you complete reading this book, you remained with many unanswered queries. It works two way, first you will feel a disappointed, and then you will wait eagerly for the upcoming books in the series. 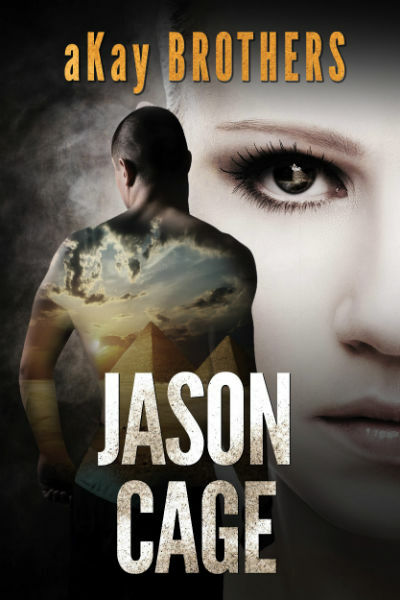 Jason Cage, the protagonist is the most complex character in this book. At places it reminds you Jason Bourne, but the similarities are quite a few. Lisa is a character you look forward to explore in upcoming books. Axel will impress you with his skills and so does the persona of Bill. I cannot reveal more to avoid spilling the beans, which is not good for any thriller :). But thinking about things is the only route that defines us as humans. He preferred being busy over being idle…. Everything went out normally except nothing was. See, how brilliantly it talks about human abilities and limitations at the same time in first line. The second one, is a witty take on one’s habit and the third one give you thrills to look forward to what actually happened wrong! …home was where his enemies were most vulnerable. Would he be able to comprehend and bury the secret within him once he becomes aware of that, was the question. God created the world and went to sleep. Divisions in mind always result in dividing countries. People were more humane at night than midday. Jason understood that time takes a lot of time to reveal its true intent. He was young but not stupid. The silence was his only friend here. … Lisa knew she’d always look back to that moment as the one that mattered most. But appearances and realities seldom coincided in her world. For Lisa, the human talent for deception far surpassed a chameleon. In addition to many contemporary stuffs, those who are keeping track of various recent events will find it amusing to read references about AgustaWestland choppers. Next to Saint were Tony D’Sauja a medium-built demolition expert call sign “Saint”. Taking care of them will make the book even better. I am glad to know that after reading this review, aKay brothers immediately updated the book to rectify this mistake. Very prompt action indeed 🙂 . As far as my personal choice, I found the RAW agents in operation, and Amam’s track more interesting, along with the last track where Jason visits the USA; then others. Here is one line from one of these tracks which I found interesting. The sun moved at its usual speed. For Amam though, time was becoming a scarce commodity. I sincerely hope that upcoming books in the series will establish a serious link between all the tracks which are floating in this book. The way this book ends made me looking forward to the upcoming book in the series. Overall we feel the book has some really superbly written thrilling chapters and has places where one, as a reader, will look for something better. As there are many tracks going on, it would be easy if a glossary or something is provided at the end of the book. But, as the thrillers in the series are interactively written (they are open of genuine input of readers), they may not afford it. We can give 4 out of 5 stars to this book.